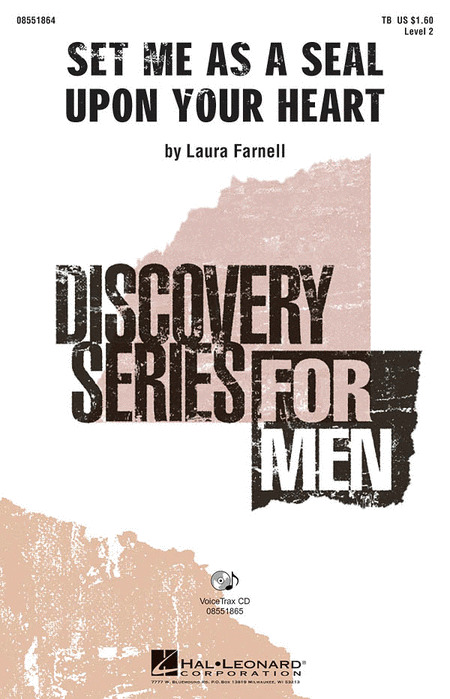 Love songs sung by men's voices have a unique poignancy and charm. Robert Shaw's understanding of this style, and the kind of tone which these settings evoke, have made them much loved by singers and listeners. These selections may be performed separately or as a program suite. 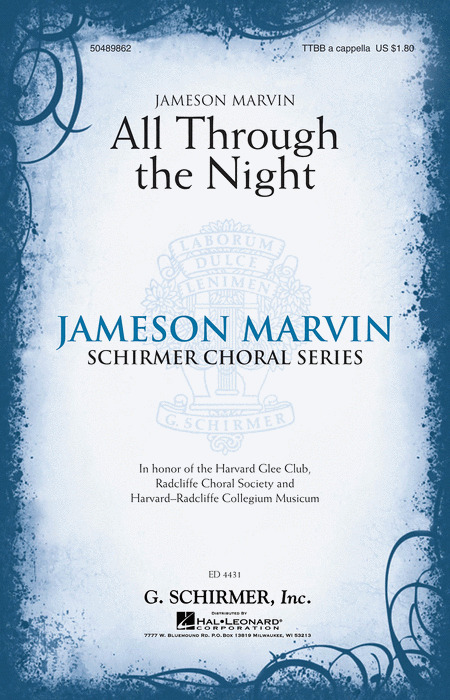 This collection of six songs for tenor-bass chorus was specifically created to provide traditional concert literature for beginning male ensembles in junior and senior high. Careful attention is given to the needs of changing voices, along with good part-writing and appealing subject matter. Available: TB/TTB. The third volume of Ernest John Moeran's Choral Music is for male voices. This centenary edition has been edited by John Talbot. The second half of the album is accompanied by Piano, though the first half has a line included for rehearsal purposes. Four poems by William Butler Yeats are set for male chorus and viola creating a vivid reflection on the wonders of life and love. Songs include: The Lover Tells of the Rose in His Heart, The Pity of Love, A Drinking Song, The Fiddler of Dooney. Viola part included. Duration: ca. 10:00. Greg Gilpin : Let The Men Sing! Let The Men Sing! is a new reproducible collection of chorals for tenor and baritone voices by Greg Gilpin. Folk songs, holiday music, madrigals, Latin settings, inspirational songs, and patriotic themes fill this 10-song collection. A budget-stretcher, the kit includes an Enhanced Studio Trax CD with accompaniment and performance tracks, as well as reproducible PDFs of the men's vocal parts, a poster, choreography, American Sign Language (1), instrument pages, cover art, information about the composer, and a program. Whether you have 10 or 100 male singers, this must-have collection will keep you on a budget while supplying your program with excellent choral literature for your young male singers for many years to come. Men's quartets and choruses will bring down the house with this choral collection featuring songs by the pop/classical mega-group Il Divo! These six authentic arrangements provide a wealth of repertoire! If you are looking for quality repertoire to promote and nurture your emerging male chorus, then you have found the right place! 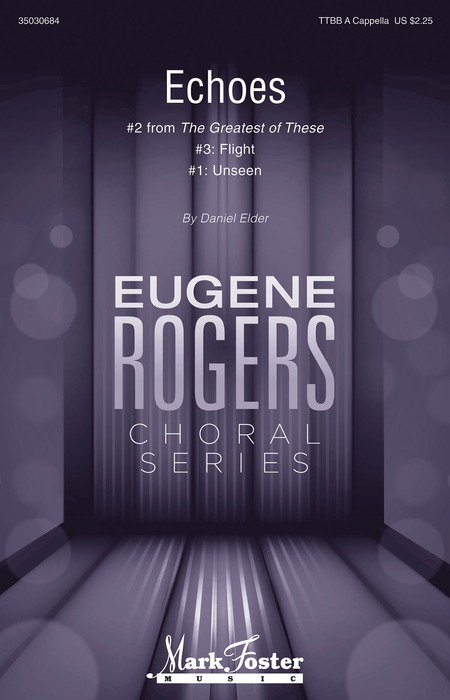 Heritage Music Press is proud to present a new TB choral collection-yes, never before released titles for two-part male voices - comprised of nine great titles from top-level writers Andre J. Thomas, Ruth Elaine Schram, Victor C. Johnson, Mary Lynn Lightfoot, Becki Slagle Mayo, Greg Gilpin, and Brad Printz. Together, they've provided a remarkably fresh diversity of musical styles and tempi, as well as a well-rounded mix of arrangements and original compositions. The title is "Just for the Guys," and it appears in a new choral collection format that includes reproducible choral parts and an accompaniment CD. At a cost of about $5 per tune for your entire choir, no matter its size ,this collection is both a great value and a great repertoire resource..."Just for the Guys!" 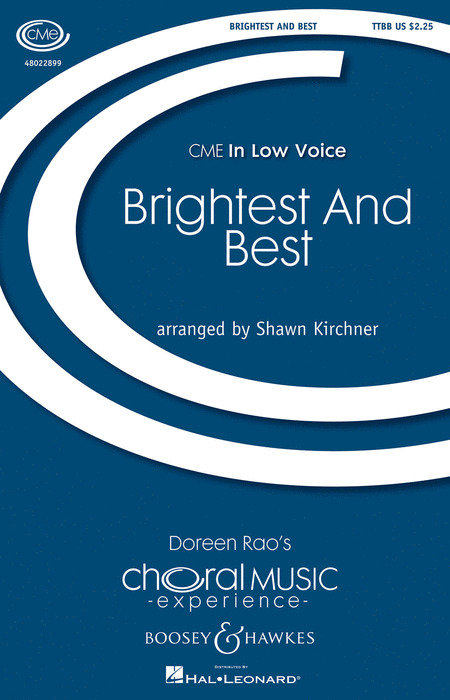 Best-selling repertoire in several voicings for male choirs makes up this economical, pragmatic collection for concerts or festivals. The five selections by leading composers offer a wide spectrum of styles and moods. All are designed to challenge and expand the ability and versatility of the choir, energize singers, and entertain audiences-and at half the cost of separate octavos. Perfect for beginning or more advanced men's ensembles, this Roger Emerson collection will be used over and over. Includes: Didn't My Lord Deliver Daniel, Festival Alleluia, Scarborough Fair, Shoshone Love Song, and Ubi Caritas Et Amor (Where There Is Love). Available: TBB. Emerson at his best! Five great arrangements for men are included in this collection: Blue Skies, If I Can't Love Her, Seasons of Love, Try to Remember, The Wells Fargo Wagon. The Turtle Creek Chorale, one of the nation's finest men's choruses, celebrated its 25th year in 2006. In honor of that occasion, they published eleven pieces performed by this talented group in one, fascinating new choral collection for TTBB voices. Included in the book are superb settings of everything from a lush Psalm to a rousing Harriet Tubman and compositions or arrangements by well-known names such as David Friedman, Joseph Martin, Mark Hayes and others. Many are accompanied pieces and some are a cappella. Volume II in the popular A Cappella! series features nine concert and festival selections for young and developing TB choirs from creative writers Greg Gilpin, Victor C. Johnson and Mark Patterson. The Complete Edition is reproducible and also includes a Rehearsal Resource Page for each piece, a unique and valuable teaching/rehearsal tool which features Solfege; Vocabulary; and Preparation and Extention activities, carefully crafted for each selection by Greg Gilpin and Victor C. Johnson. The Choral Edition, ideal for use as a judge's copy or for your singers, is not reproducible and the Rehearsal Resource Pages are not included. Comprised of one spiritual arrangement, two folk song arrangements and six original selections in a variety of styles and including texts by famous poets Henry Wadsworth Longfellow and Epes Sargent, this collection is an exceptional value and a great resource for your music library. Now available for men's voices only, this elegant setting of the Latin translation of an Edward Esch poem "Lux Aurumque " by Eric Whitacre will captivate choir and audience alike. Moderately difficult for an advanced high school choir. Already a great success for mixed choir! "Lux Aeterna" is now available for men's voices, this breathtakingly beautiful award-winning composition offers rich harmonies in an approachable setting. Works well in both concert and memorial settings. The familiar poem "A Red, Red Rose" by Scottish national poet Robert Burns receives exceptional treatment from noted young composer Eric Barnum. This artistic, deeply expressive setting seamlessly incorporates mixed meter, close harmonies and unusual key modulations. Of moderate difficulty, it makes an excellent festival selection. Displaying 1-50 of 86 items. From the Edgar Allan Poe poem, this tragic tale of ill-fated lovers will be great fun for a men's chorus to rehearse and perform. Your singers will display their dramatic flair as they relate this sad story! Duration: ca. 3:00. Also available in Unison (48004940), SA (48003497), SSA (48003498) or SATB (48003499). From the pen of Senator Orrin Hatch, Lowell Alexander and Phil Naish, we present a moving tribute to those who have given their lives defending our country. Blades of grass and pure white stones cover those who left their homes.Available separately: SATB, SAB and TTBB. Instrumental ePak includes score and parts for Flute 1, 2, Oboe, Bb Clarinet 1, 2, Bb Trumpet 1, 2, 3, F Horn, Trombone 1, 2, Trombone 3/Tuba, Percussion, Timpani, Violin 1, Violin 2, Viola, Cello and Bass. ChoirTrax CD and DVD Accompaniment Trax also available. Performance Time: Approx. 3:30. A text whose message reminds us of those qualities of ambition and striving, passion and spirit lends itself beautifully to this triumphant music. The opening vocal fanfares and closing hymn are sung with majesty and conviction; the inner passages with lyricism and warmth. F Horn part included. Duration: ca. 4:15. This lively arrangement for TTBB chorus and piano is based on a sturdy American hymn tune with a text by Reginald Heber. A banjo inspired piano accompaniment provides sparks while the tune is presented first in unison, then in canon, next adorned with mirrored countermelodies, with the refrains growing in intensity following each verse, culminating in a dramatic, a cappella outburst. Duration: 2:15. Build camaraderie and solidarity in your men's ensemble with this up-tempo celebration of song! An excellent theme for a men's concert or festival, your guys will stand tall together and sing strong. 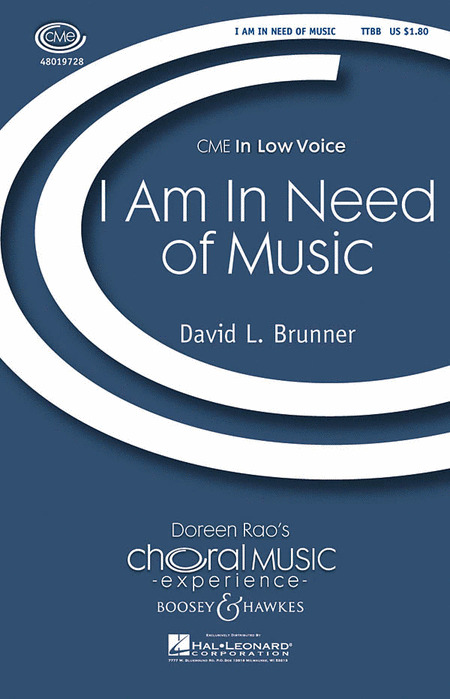 Commissioned for the 2010 Southern Division ACDA Men's Honor Choir, David Brunner's broad and majestic music paired with James Broughton's powerful words, combine to make the perfect piece for men's chorus. In the text are found unusual juxtapositions of seeming opposites: percussive silences, the intimate roar, the singing void, and a strong bond of brotherhood: thriving on affection and closer to me than my own children. Let your ears ring with the sound the stars make. Duration: ca. 4:00. Andrea Ramsey : Canst Thou Love Me, Lady? Written for men's chorus, this piece was created to teach young men how to sing expressive legato phrases. The text is based on the poemLove by Charles Stuart Calverly, and adapted into a sincere love song for boys to sing. Duration: ca. 4:00. This 19th century soldiers' song paints a humorous view of army life and will be a fun, tongue-in-cheek novelty for a young male choir! Great for staging/choreography and adding a comedic touch to your next concert! Number 2 from The Greatest of These (No. 1, Unseen and No. 3, Flight) this movement is written on the virtue of hope. Using a rich yet simple harmonic palette that strives to create a sense of nostalgia. Hope here assures that in the darkest of experiences, when all joy is but a distant flicker of light, it serves as a spark for the immortal flame of life that can illuminate even from the deepest shadows. Now back in print! This lively selection from Fine's classic Alice in Wonderland is full of dancing rhythms and spirited energy. Available for SATB, SSA and TTBB. Performance Time: Approx. 2:15. Recorded by Greg Smith Singers with Raymond Beegle, piano. Courtesy of Composers Recordings, Inc. Publisher Code ISMN M-051-47605-3. This offering from Randy Stenson's Male Chorus was premiered at the 2008 ACDA Northwest Division convention. Beginning with a rollicking and rhythmic opener the middle section transforms to tasty punctuations of sound. Returning to the opening theme, it drives to a thrilling completion. Number 3 from The Greatest of These (No. 1, Unseen and No. 2, Echoes) this movement is written on the virtue of love. Set in a repetitive, trance-like exploration of personal experiences. The treatment of these motives creates an energized tone, constantly and unexpectedly bubbling over the top of its secret confines as joy that cannot be contained. The roar of the sea comes to life in this dramatic original work that tells the fateful story of the ship Good Charlotte. A fantastic choice for developing male choirs! Performance Time: Approx. 2:30. Becki Slagle Mayo : Good Night, Ladies! The ladies of folk song are presented in this medley for the guys! Susannah, Cindy, Aura Lee, and Liza Jane are woven together to create a fun salute to these familiar tunes with the theme of Good Night, Ladies beginning and ending the fun. Available: T(T)B; PianoTrax CD. Here's a churnin' burnin' original that will help your young men discover the fun and camaraderie that singing can bring into their lives. Great for small groups all the way up to festival performances! Combo parts available digitally (tpt 1, tpt 2, tsx, tbn, gtr, b, dm). Duration: ca. 2:15. Composer Laura Farnell has drawn her text from two English poets. The skillful pairing of text and music makes this an excellent choice for concert or festival TB choirs. Premiered at Carnegie Hall for the Shawnee Press 75th Anniversary, this powerful and inspirational work, now set for TTBB voices, sings of hope described through the phases of life, such as a newborn's cry, the laughter of children, the ashes of the fire of love that has died, the quiet comfort of a dream. Set to haunting and dynamic music with piano or optional orchestra, the work comes to a moving conclusion of hope is not lost?.hope will arise. Gorgeous, moving and timely. Written as a tribute to a beloved friend and mentor, I Am In Need of Music conveys a sentiment shared by so many: music is the healer of our wounds, the peace that lives within us. This lush and lyrical setting will speak to all who carry music in their hearts. Duration: ca: 4:00. With Tenor, Baritone and Bass solos. 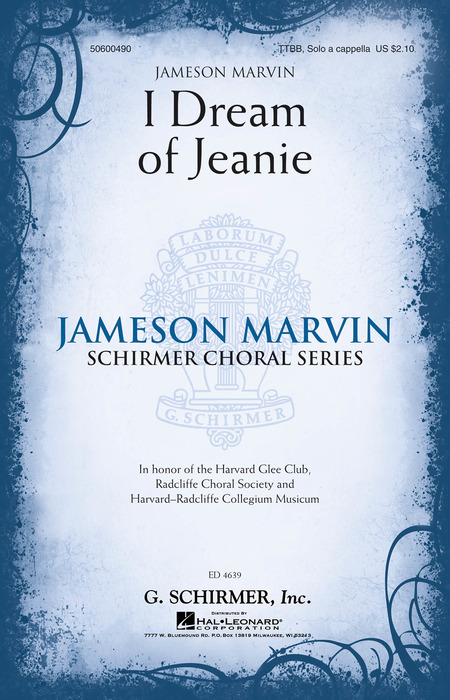 This delicate and sensitive new arrangement of beloved American classic, arranged for the Harvard Glee Club by its former director, Jameson Marvin, is worthy of any fine men's choir. 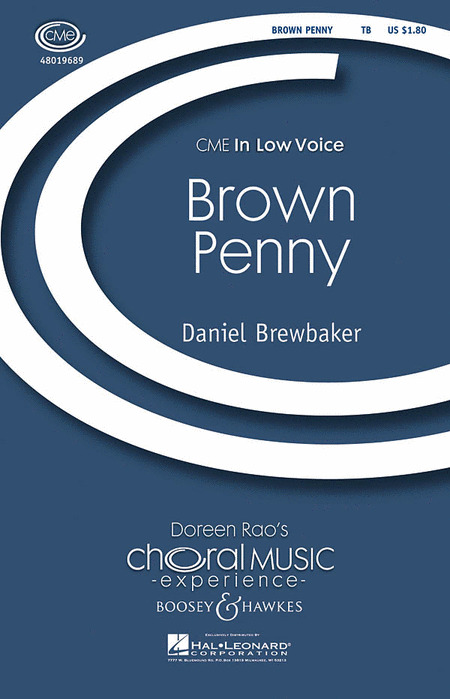 With counterpoint for all voices, a melody that is passed between voices and a chance to feature a baritone soloist, this is a welcome addition to the male chorus library. This 1895 poem by British Nobel laureate Rudyard Kipling is one of the most popular poems ever written and memorably evokes self discipline and virtue. 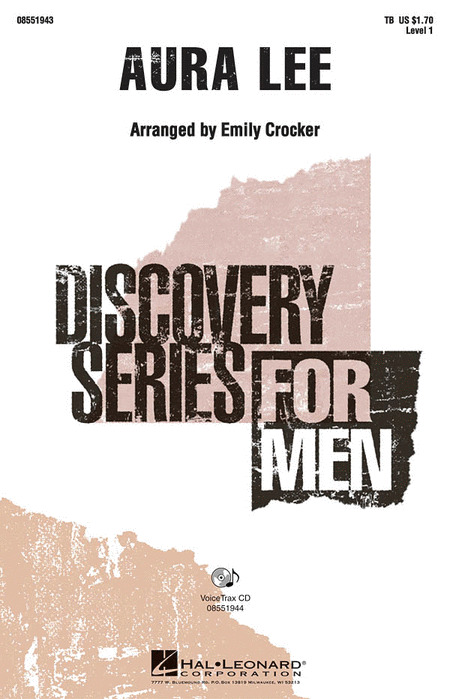 This powerful musical setting written for the 2012 Minnesota All-State choir will showcase men's voices in high school and collegiate groups, especially festival and honor choirs. Create a moment of reverence and reflection with this English Renaissance anthem, now arranged for men's voices. Ideal for concert and worship! Now available in a 2-Part voicing, this setting of the famous World War I era poem by Dr. John McCrae is stunning in its simplicity and emotional impact. Perform it for Memorial Day and veteran's ceremonies or at any concert occasion. Also now available separately: String parts and ShowTrax CD. Available separately: SATB, SAB, SSA, TBB, 2-Part, ShowTrax CD. String parts available digitally (vn 1, vn 2, va, vc). Duration: ca. 2:30. Recorded by the Three Irish Tenors, this uplifting anthem is a tribute to those who risked everything to make their way to the great city that was built by immigrants from the world over.Available separately: SATB, SAB, SSA, TTB, ShowTrax CD and Instrumental Pak (score and parts for F Horn 1 & 2, Percussion, Violin 1 & 2, Viola, Cello, String Bass). Performance Time: Approx. 4:30. Ken Berg : Join The Song! For the men only - a 2-minute medley of American folk songs that center on the topic of girls! It is a great selection for the beginning of the year and can serve as a useful teaching tool for pitch and rhythm reading. Includes: More Pretty Girls than One, Li'l Liza Jane, Oh, Susanna, Riding in the Buggy. Available separately: TB, VoiceTrax CD. Duration: ca. 2:20. Walt Whitman : O Captain! My Captain! From American Song, a choral song cycle featuring texts of distinctive American poets. This is a bold and compelling setting of the familiar Walt Whitman poem. Available: SATB, TTBB. Performance Time: Approx. 4:00. Here's an original sea chantey that will be a strong showcase for your male chorus. Equally effective for middle school through high school! Available: TTB. Performance Time: Approx. 2:15. This romantic setting of a poem by Thomas Ford is an excellent choice for teaching tone, phrasing and style. May be performed a cappella.Available separately: TTB and VoiceTrax CD. Performance Time: Approx. 1:45 Discovery Level 1. Taking its text from African American poet Joseph S. Cotter, the words and music of this tone poem combine to create a mesmerizing image of the earth as a drum and the rain as drumsticks beating down to create new life. Quite accessible for young male choirs, this piece with optional hand drum and rainstick will help develop expressive singing. Available separately: TB, VoiceTrax CD. Duration: ca. 3:15. Warm harmonies and well-crafted vocal parts will make your middle school men's chorus sound their very best. This well-known folk song is designed to ensure success and makes a great choice for contest and festival programs.Available separately: TB and VoiceTrax CD. Performance Time: Approx. 2:10. Laura Farnell : Rest Not! Based on a poem by Henry Wadsworth Longfellow, this powerful concert piece for men expresses words of encouragement for those who seek their dreams, and optimism for those who work without rest for positive change in the world. A great selection for festival or contest! Available separately: TB, VoiceTrax CD. Duration: ca. 3:10. An excellent choice for your developing men's choir! This bold and enthusiastic setting of a traditional text to the music of Christoph Praetorius begins with unison singing of the melody, followed by a two-part round. The harmonic B section is a short bridge to a three-part round with a big finish. Here's a rollicking original riverboat song that will be easy to learn and fun to sing! Ideal for developing confidence and skill with the young men of your choir. Available: TTB. Approx. Time: 2:00. You will love the sound of close harmony in this nostalgic rendition of a 19th Century American classic. 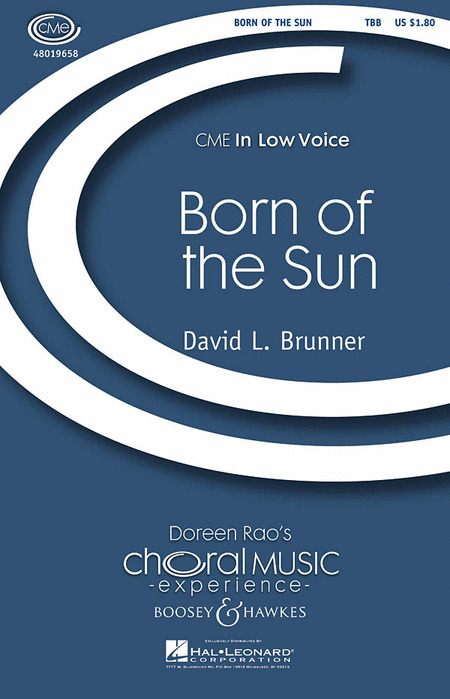 Ideal for beginning male choruses, this setting will become everyone's favorite!Available separately: TTB only. Performance Time: Approx. 2:30. This clever sea chantey spoof is a rollicking change of pace! Available: TTBB. Performance Time: Approx. 2:10. Now available in an accessible arrangement for younger choirs, the powerful vocal harmonies and an awesome drum track will make your audience want to stand up and cheer in this tune from the indie/pop group fun. Great for developing harmony singing skills! Available separately: 3-Part Mixed, TTB, VoiceTrax CD. Duration: ca. 3:15. Arranger: Roger Emerson | Composer: fun. Performed By: fun. This is an excellent selection for your TB choir. The men's parts weave like ocean waves, meeting in harmony and then dividing again. Set to a masculine, yet poetic, text comparing the ocean to a restless mind and free spirit, this rhythmic and flowing piece is perfect for changing voices. Available: TB; PianoTrax CD.